Here is what will be Coming up on Woman of Steel 4 in February. Phillips asks Enchilada for help in investigating Sanchez. Indio Amaro recognises Tuti on television. There is chaos during Gallo’s speech. Deborah is taken to hospital, where she is induced into a coma. Meanwhile, Romero tells Tuti honestly how important she is to him. Gallo says his goodbyes to Deborah and promises to avenge her death. 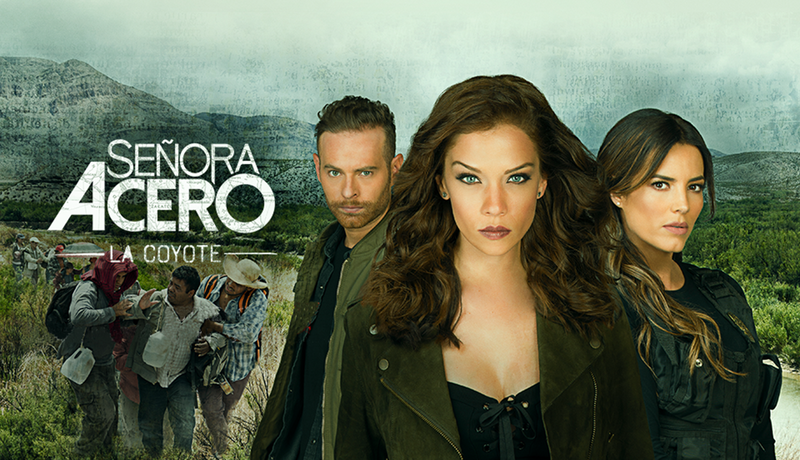 Romero tells Aida that she must return to Mexico and ask Vicenta for help. Salvador tells Vicenta that he does not trust Romero. Meanwhile, Mario broadcasts the video of Domingo and Andrea on national television. Gallo confronts the President over Mario Casas’s video. Nicolás wakes up in hospital and accuses his mother of handing him over to Indio Amaro. Following Andrea’s death, Vicenta declares war. Meanwhile, Indio assures Romero that he killed the heir to the Tijuana cartel. A new member enters the Tuti-Lazara clan. Marcelo says goodbye to Salvador and gives his daughter to Vicenta, before meeting with Phillips. Phillips opens an investigation after discovering Sanchez’s body. Indio negotiates with Roscas, while Marcelo continues to torture Mario. Vicenta agrees to start a family with Phillips. Roscas and Tuti try to escape, but Tecolote intercepts them. Romero worries when Tuti doesn’t show up. Pepito takes Carmencita to the hospital. Meanwhile, Romero finds Roscas badly wounded, and learns that Indio took Tuti. Salvador has a diabetic emergency. Indira promises to help Nicolás rescue Pepito and Carmencita. Phillips manages to access Sanchez’s files. Aida calls Gringo to ask for help. Indira tries to leave with her family. When Phillips attempts to stop her, she steals his gun and threatens him. Pepito finds out that Romero is Teca’s son. Gallo has a crisis about his sexual impotence. Vicenta visits Indira in jail. Indira falls into a trap and confesses her crimes to Vicenta. Romero asks Pepito for forgiveness for the crimes his parents committed. Rosario suffers a miscarriage, while Carmencita ends her relationship with Pepito. Tuti asks Romero to marry her. Salvador, Gallo and Bebote head to the Second Ring of Security to attack the ranch. Pepito tries to convince Carmen that he has changed. Phillips orders the capture of Tecolote, while Tuti’s clan is arrested at the airport. Indira is put in isolation in the women’s prison. Triple RR tries to comfort Josefina, and kisses her. Meanwhile, Pepito finds out that he was used for revenge against the Aceros. Romero confronts Indio Amaro and humiliates him in front of his men. Meanwhile, Leonor asks Frida to forget about Phillips. There is a confrontation between Tecolote and Romero, while Vicenta threatens to report Greg to the authorities.